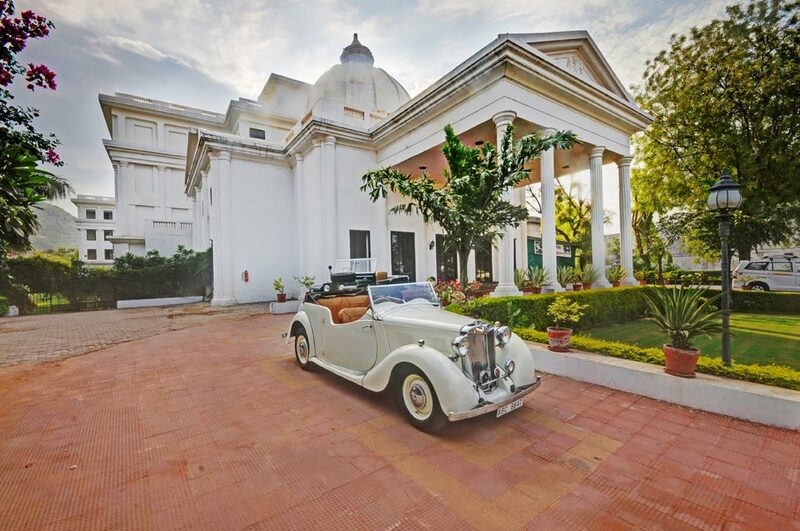 The Hadoti Palace Bundi is owned and run by the Royal Family of Badnore. The family has a rich heritage whose ancestor Jaimal fought against the Mughal Emperor Akbar in the siege of Chittorgarh in the 16th century. The Family also traces its ancestry to the famous Meera Bai, a princess, a saint, a philosopher, a poet and a sage who has immortalised her name in the love and devotion to Lord Krishna. Badnore was among the 16 Umraos (Nobles) of Mewar. The Thakurs of the Badnore Estate are Mertia Rathores, descendants of Jodha who founded Jodhpur. The Badnore Fort is located in the colourful state of Rajasthan. The strategic location of this fort increased its importance and it witnessed a lot of strife in it’s hey days. This seven-storey fort located atop a hill, presents an awe-inspiring view. This mammoth bastion that could house an entire battalion still has over 130 rooms that can be used. The quaint jharokhas (balconies) that previously provided ventilation now offer a peep into the lifestyle of a bygone era. The building within the fortification conforms to the traditional Rajasthani style of architecture. The Badnore Fort is surrounded by lakes which enhance its splendour. On the banks of one of these lakes is the Jal Mahal or Water-Palace. Below the Jal Mahal is the Grishma Niwas or the Summer House, where the present owners live. In its midst is a step-well, a rarity in this region. Thakur Govind Singh Ji, who was the ruler of Badnore, had the step-well constructed in 1897.